As you know for this 2nd issue of Enfants Terribles Magazine we endeavoured into the visually, immensely inspiring, traditonal Chinese celebration of the lunar new year - also referred to as The Spring Festival or Chinese New Year. We gave loose to our inner child and set of in a marvellous hunt for colour and adventure around the city of Copenhagen. We we're looking for signs of East Asian culture in all the places we could think of. With the girls in hand, we visited restaurants, shops, museums and supermarkets to discover and learn. The result of our travel is for you to discover in this issue. We're telling the tale of childplay, treasurehunt and travel all within our own city and you can do it too. At least we hope that this issue made you want to! 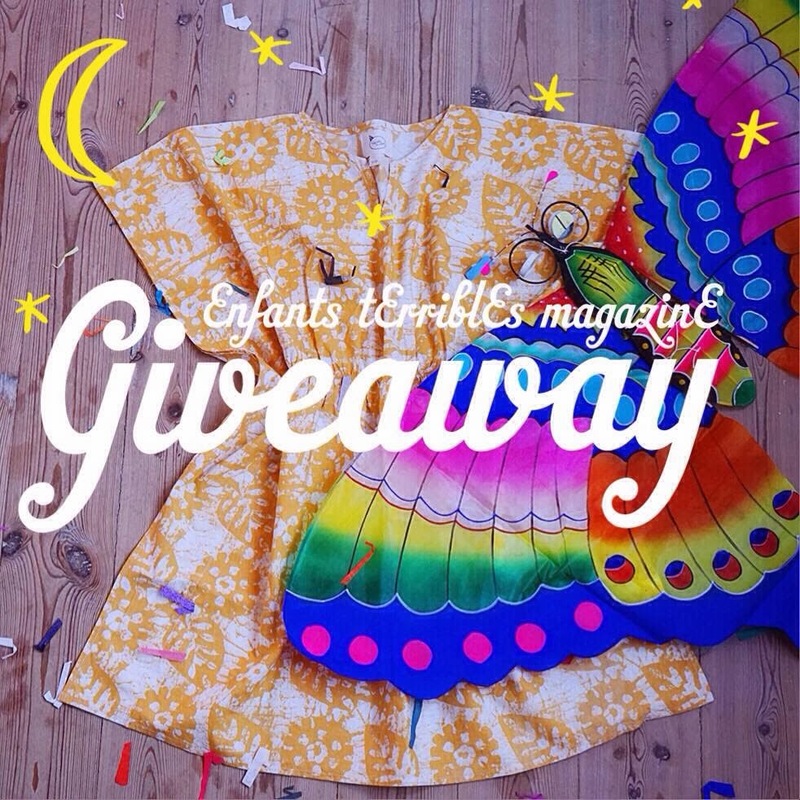 We're celebrating the beginning of this new year with a wonderful giveaway! The good people of Pierrot la Lune and Den Kinesiske Butik have sponsored a little partypack of a marvellous paperbutterfly and a beautiful girls dress size 6-8. You can win this little lot by reposting the pic above with your wishes for this bright and shiny new year on your own blog, your Instagram account or by sharing our page and giveaway on Facebook. Please leave a comment with a link to your blog entry below, or use the #enfantsterribleslunargiveaway with a @enfantsterribles if entering via IG. The winner will be announced on the last day of the springfestival 14th of February, the day of the lantern festival and Valentines day. Posted on Facebook, twitter and IG! jeg poster straks på Facebook, og krydser for at være heldig..